To Yohalis Rivera, in sun or ice, the wind is still the wind. More than 16 months ago, she and three young sons huddled in the living room of their home in Humacao, a Puerto Rican city blasted by Hurricane Maria. That wind had a voice, a lonesome power she will never forget, and they listened as it shattered windows and caused water to pour from the ceiling. Rivera’s life in Puerto Rico would never be the same. She knew an elderly man, a guy who needed oxygen, who died when the power was shut down. It was an hour’s drive to get the food Rivera needed for her children. The family struggled, she said, to find a supply of safe fresh water. Enough was enough. Rivera has three boys – Victor, 11, and 8-year-old twins, Angel and Luis – she is raising by herself. She worked as a teacher’s aide with preschoolers in Puerto Rico, and she had a cousin in Buffalo who offered to help, a guy who believed she could find similar work if she came here. Rivera told her mother, who is still in Humacao, that she was moving to Buffalo. She arrived in December with her children. They had no possessions beyond the few suitcases they carried. They could hardly anticipate that in a little more than a month they would again be gathered in a living room to listen while a big wind pushed against their home, while the old boards creaked. After witnessing a hurricane, the family received its first taste of a blizzard. When she heard the warnings, Rivera said, she feared the wind might be capable of the same kind of damage. Yet she quickly learned the typical nature of a storm in Buffalo: She listened to good advice, and she and the boys settled in and stayed indoors. By Thursday, the blizzard itself was over, while patches of blue streaked the pewter sky. Rivera also knew they had a formidable ally in their corner: She and her sons are friends with Joe DiLeo, 79. He stopped over Thursday with some clothes for the boys and with some new curtains, picked out by his wife, Toni Marie, to replace the blankets the family had been using to cover the windows. His larger mission, DiLeo said, was simply checking on the well-being of Rivera, a mother he admires. “You think about it, and you realize she could see the problems ahead," he said of her decision to leave Puerto Rico. “She didn’t make this move for herself. It would have been easier for her to stay, but she was thinking of her kids, and what they’ll end up doing." 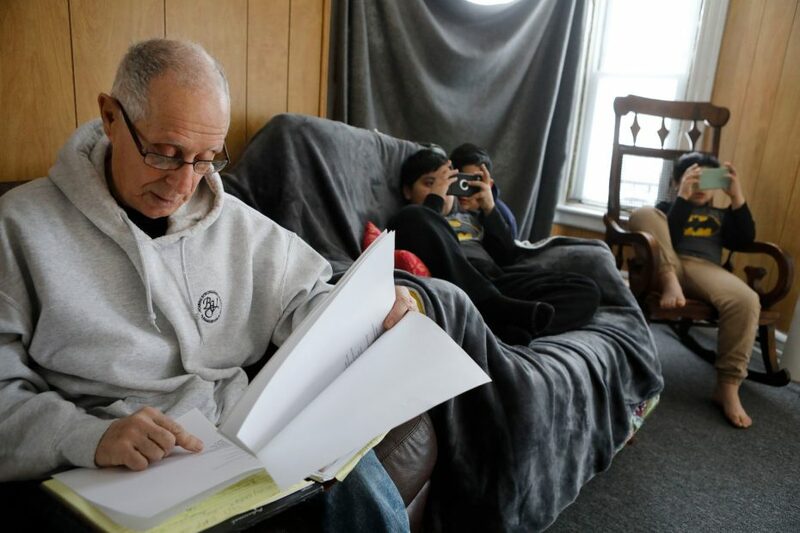 The Riveras moved into their apartment on Jan. 1, then lived for a few days without heat. National Grid found a leak in a pipe, and the landlord had to go into a wall to fix it. Rivera said she and the boys spent some long hours huddled under blankets until that repair was done. Thursday, she looked toward DiLeo and spoke with gratitude of how the place is fully furnished, but DiLeo said he is not the guy who should be thanked. It was all done through Per Niente, he said, an Italian-American organization on the West Side that blossomed from a community newsletter DiLeo started in the 2000s. The club attracts passionate volunteers and selfless donors, DiLeo said. To him, they are the ones who should get credit for helping about 15 Puerto Rican families get on their feet over the last year in Buffalo, part of the wave of newcomers who came here after the hurricane. He heard about Rivera and her children through Deborah Quinones, an interpreter and minister. “They had nothing,” DiLeo said of the family. Once Rivera found the apartment on Fargo Avenue, the club got busy filling it with a stove, a refrigerator, a dining room table and even a couch so heavy that it was brought in by lifting it onto a second floor porch. 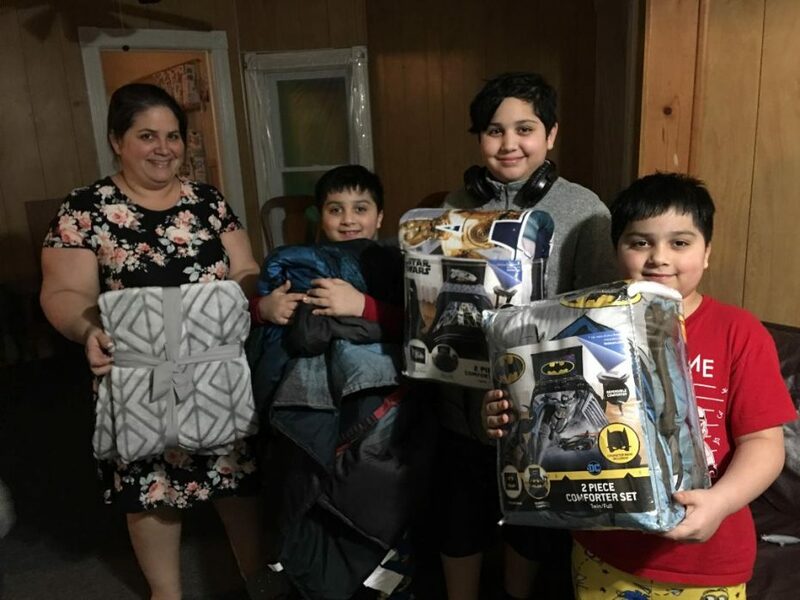 DiLeo and Toni Marie took the family shopping, helping the Riveras find winter coats and other clothes needed to get through a winter in Buffalo. The DiLeos also bought Batman-themed blankets and curtains for the boys’ rooms, and a Batman-inspired shower curtain for the bathroom. As for the blizzard, Rivera said she and the boys respected the advice they heard on television: Once the storm blew in, they stayed inside. The boys spent hours playing games on old mobile phones, with no internet connection, that their cousins gave them. Victor and the twins now attend the Bilingual Center, P.S. 33. The three brothers immediately fell in love with snow – they knew how to make a snowball, Victor said, because they had seen it done in movies – but their mother did not want them outside this week in a cold so intense losing a glove might have put one of them at risk of frostbite. The thought left him reflecting on a phone conversation not long ago with his sister, Sandra, how she asked if he fully remembered what their lives were like as children. DiLeo moved toward the window of the apartment and watched the blowing snow. When he was a boy, he said, his family had a place in what you might call a four-story walk-up, but he used a more precise choice of words: It was a tenement. His parents, who came over from Italy as children, lived in the 1940s in a building on Buffalo's lower West Side, without heat or hot water. His mother used to turn on the oven as her only way of warming up the kitchen. On bitter winter nights, it was so cold that any water would freeze into ice on both sides of the windows. DiLeo grew up to spend his career with the U.S. Postal Service. After retiring, he threw himself into the Per Niente club, both from devotion to his West Side neighborhood and because he believes the only way to sustain a community is through time and commitment. Over the years, he built an alliance with Casimiro Rodriguez, president of the Hispanic Heritage Council of Western New York. Now, when Rodriguez encounters families in desperate need, he has another place he trusts that he can call. 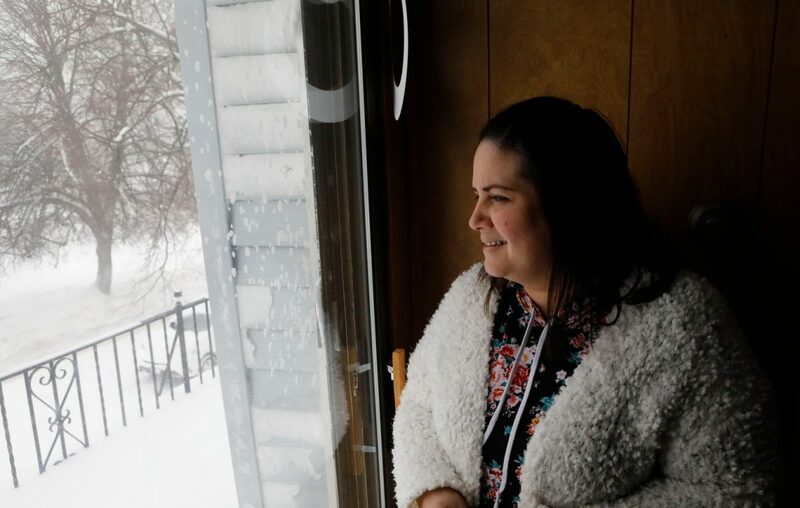 Thursday, Rivera wore a warm sweater she received from Quinones and looked across the street at her landlord, who was busy snowblowing the entire block. Buffalo was coated by a shell of ice and snow, and it was hard for Rivera and her kids – who came here with the winter – to picture what DiLeo vowed they would find true. Spring and summer are worth it, as with many good things long in coming.